Welcome to the 15th Street Village Townhomes located in Plano Texas. 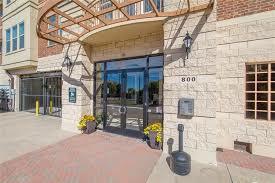 Walking distance to Historic Downtown Plano for restaurants, shopping and the Dart Rail System. Just minutes from Central Expressway, the 15th Street Village Townhomes have 29 units built in 2014. Plano originated in the early 1840's in the Republic of Texas. Most of the early pioneers migrated from Kentucky and Tennessee as small groups of settlers found their way to Collin County's blackland prairie. Plano's birth was due in part to the enterprises of the Foreman family. The largest city in Collin County, located 20 miles north of downtown Dallas, Plano continues to garner national accolades for its quality of lifestyle, environmental initiatives and opportunities for economic development. A thriving economy, award-winning schools, outstanding libraries, spacious parkland, internationally-recognized accredited Police and Fire Departments, easy access to four airports, a municipal government willing to partner with business for success, the hometown choice of 243,500 residents and corporate giants, such as JCPenney, EDS, Frito-Lay, Alcatel and Dr. Pepper. Plano's "profile" includes superior transportation system supported by four major arteries, DART rail and bus service, easy access to DFW International Airport and Dallas Love Field. Internationally Accredited Police Department, carrying one of the lowest crime rates for Texas cities over 100,000 population. Accredited Parks and Recreation Department with 80 park sites, 40 miles of recreational trails, two municipal golf courses, six recreation centers, a Senior Center, five swimming pools, outstanding athletic and tennis facilities, 86,400 square foot full-service convention center. Updated: 19th April, 2019 8:01 AM.